Vecta Environmental Services, LLC strives to exceed our industrial service customers’ expectations and deliver excellence in all areas of operations. 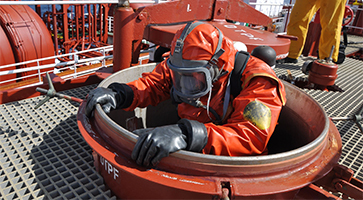 Our experienced, professional and knowledgeable staff will achieve industry-leading customer satisfaction by setting the highest standards in safety, compliance and reliability. Our mission is to be the most trusted name in industrial services by advocating for our customer, valuing every member of our team, and maintaining accountability in everything we do. Vecta’s experienced, professional and knowledgeable staff will achieve industry-leading customer satisfaction by setting the highest standards in safety, compliance and reliability.